It's time to put another of my customers in the spotlight again to let them tell you some more about their business and what they offer. You may remember that last up was Cheeky Little Monkeyz but this time it's the turn of Jonathan Fallas of Fallas Insurance Brokers Limited. What is your background and how did the business come about? I previously worked with AXA Insurance as a Direct Business Executive for 13 years offering face to face insurance solutions for SME’s. In October 2014 AXA decided to no longer offer a face to face service and made 35 direct Business Executives throughout the UK redundant. I set up the business in January 2015 after been made redundant from AXA Insurance with the aim of offering a similar Insurance solution to SME’s. What locations does Fallas Insurance cover? I can offer an insurance quotation to anybody in the UK and have some customers as far a field as London, however for obvious logistical reasons I can only really offer a face to face service for customers closer to home. In the main most of my customers are based in North Yorkshire, Humberside and the Leeds area. We can provide a full Insurance Service for just about any Business Insurance requirement, ranging from Buildings and Contents through to Professional Indemnity and Liability covers. We also offer Domestic Insurance services for some of our larger customers. Is there anything that sets you apart from your competitors? The fact we will offer a face to face service for any customers regardless of size and business type means we offer what most Insurance Brokers can’t or don’t offer. In my opinion Business Insurance is unique to the Business needs of the customer, and no 2 businesses are the same and simply do not fit into the “tick box” system a lot of Commercial Brokers and Insurers use. Visiting the customer, seeing their business operate and discussing their needs means we get a much better overall of the needs of the customer, enabling us to get the correct cover at the correct price, and ensuring the customer understands their policy covers. What size of businesses do you provide insurance for? 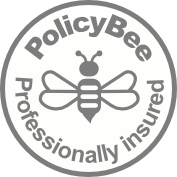 We offer Insurance for any size of business from sole traders working from home requiring simple Public Liability covers, to multi-tenure, multi million pound turnover businesses requiring the most complex of Insurance portfolios. Do all businesses need some insurance of some sort? Almost all Businesses require some kind of insurance cover. If you employ anybody (even part time, temporary or casual) you will require Employers Liability Cover by law. If you visit your own customers you should hold some Public Liability cover and if you offer any advice you may require Professional Indemnity cover. In addition to the usual “Material” Insurance covers such as Buildings, Contents and Vehicles insurance covers, almost every business has an insurance requirement even if you are not certain we can point you in the right direction. In my opinion all Businesses are different in some shape or form and having the right kind of insurance cover could be the difference between surviving an incident or accident or shutting down the business. Thanks to my experience I can usually identify the main business insurance requirements within a 20-30 minute meeting and potential save the business money. All my initial services and visits are completely free and we do not charge any fees for our reviews and quotations so you really have nothing to lose by getting a personal review of your insurance portfolio. Thanks to Jonathan for telling us more about his business and sharing his insights here. If you would like to find out more about Fallas Insurance Brokers Limited and what they can do for your business, head over to their website, connect with them on Twitter or visit their Facebook page. Alternatively, give them a call on 0113 286 4114 or 07403 080085.